* Don't miss the Warner Brothers and Alcon Entertainment blockbuster movie of Beautiful Creatures directed by Richard LaGravenese (P.S. I Love You) and featuring an all star cast including Emma Thompson, Jeremy Irons, Viola Davies and hot young Hollywood talent Alice Englert, Alden Ehrenreich and Emmy Rossum. @kamigarciais a superstitious American southerner who can make biscuits by hand and pies from scratch! She attended George Washington University and is a teacher and reading specialist. She lives in Los Angeles, California with her family. @mstohlhas written and designed many successful video games, which is why her two beagles are named Zelda and Kirby. She has degrees from Yale and Stanford Universities in the US and has also studied in the prestigious creative writing department at UEA, Norwich. She lives in Santa Monica, California with her family. 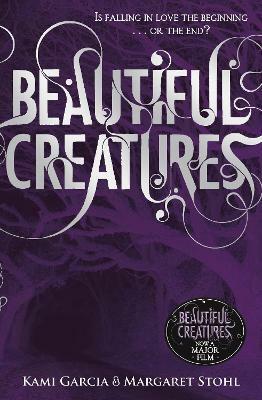 Also available in the Beautiful Creatures series: Beautiful Darkness, Beautiful Chaos and Beautiful Redemption. by Monaliz @ Mind Reading?